This just in – Gold is back! Today’s Subject, Class, Is Eradication. This isn’t a pest control post; we’re of the live and let live mentality here at Western Tent. No, this is about the method used to create great looking, ultra bright, backlit graphics on your canopy. Here’s how it works. We cover a canopy frame in your favourite colour of vinyl material, apply a stencil of your logo over top, and within those specific boundaries, chemically wash away the vinyl’s colour to white allowing the background light to flood through. I’ll show you an example. Let’s say you’ve got a canopy that looks like this. 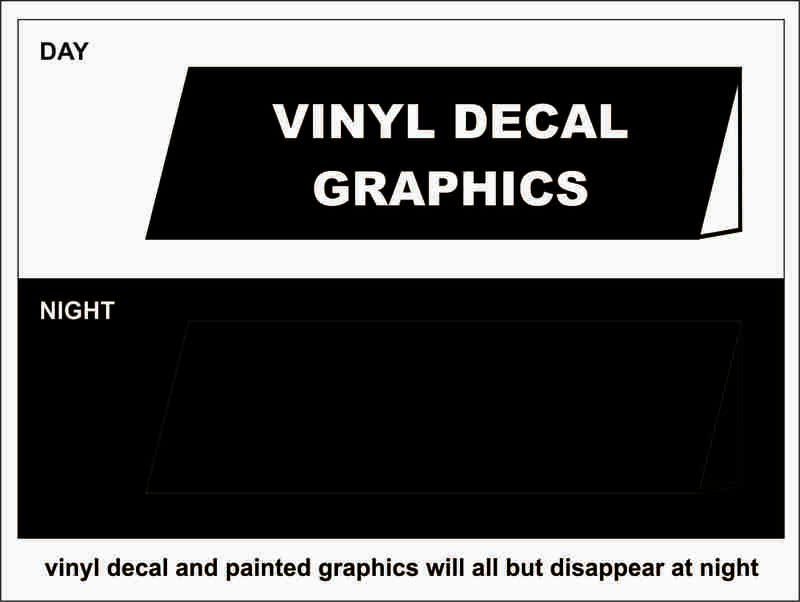 Maybe your graphics are painted, maybe they’re vinyl decal. Either way, they look great in the daytime. However, when night comes, they’re really tough to see. 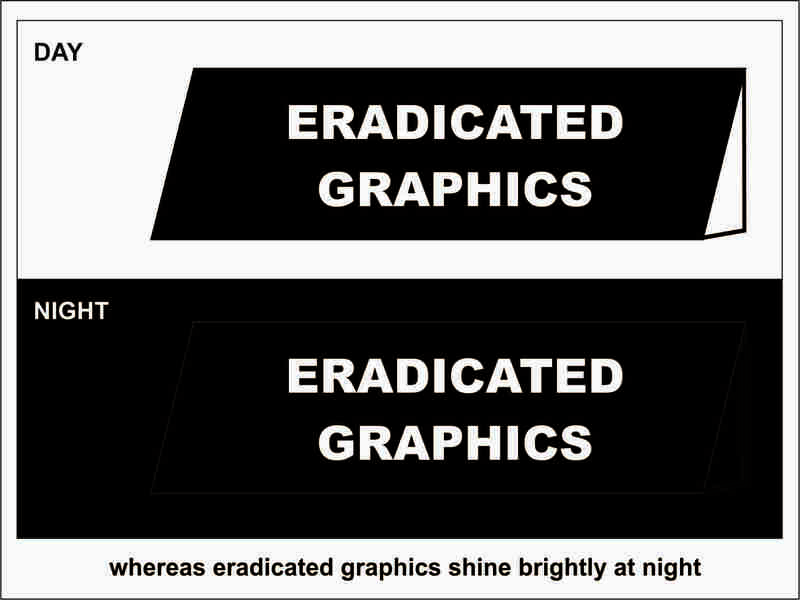 Now take a look at the eradicated graphics. I know, right? Amazing! You might be able to see those graphics from the ISS (that’s the International Space Station for those who don’t have their geek on). Eradi-Lite and Cooley are two of the more common brand names in eradicable vinyl available in the industry, though there are others, and there are a variety of colours to choose from. We can also spice things up further by adding translucent vinyl decal to the eradicated space, giving you a highly visible spectrum of colour which will tie in your branding. Eradication. It’s a good thing!